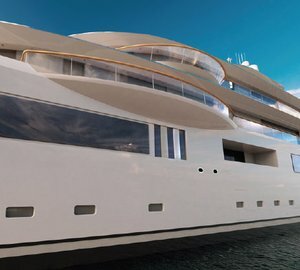 Building on their growing global presence and reputation as the world’s leading Chinese superyacht manufacturer, Pride Mega Yachts is pleased to announce their participation in this month’s Monaco Yacht Show (MYS), running in the glamorous Mediterranean yacht charter destination – Monaco from September 24 to 27. 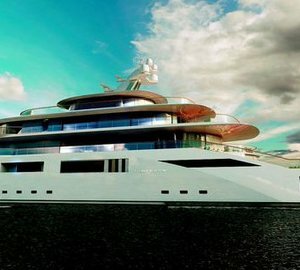 During the event, the company will present their all-new 115m motor yacht Estatement concept, and will be on hand at the new stand QH27, on the Quai d’Hirondelle in close proximity to the newly opened Yacht Club de Monaco. Since re-launching their brand at the 2013 MYS the company has gone from strength to strength. Based on the Chinese Yantai Peninsula, the yard has invested heavily in its facilities, with a new state of the art 4,500sqm facility that includes new sheds, offices, workshops and stores. Work on their current new build project 88.8m mega yacht Illusion is well progressed, with her launch due at the end of 2015. The sale of the yacht by Fraser Yachts in close cooperation with Bluewater was announced in August 2014 and was a great testament to the quality of the project. 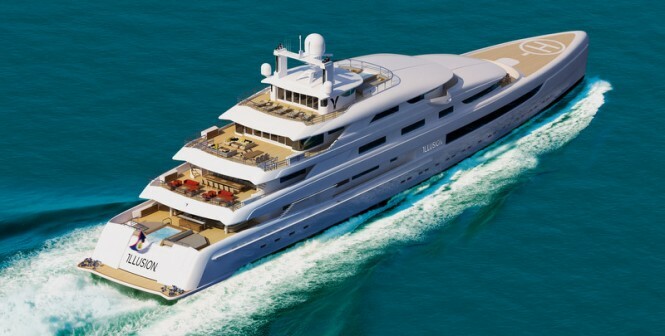 The yard will be displaying their 115 metre superyacht Estatement concept at the show. The work of Sinot Exclusive Yacht Design, Estatement is able to accomodate up to 22 guests, and features a contemporary interior that will appeal to a wide client base. An evolution of her smaller sister Illusion, Estatement is a showcase of what Pride Mega Yachts can achieve in the large yacht sector. The shipyard welcomes all new build enquiries for large yachts: with unlimited capacity and high-standard European-quality work the yard offers an attractive proposition for any discerning superyacht owner. In addition to luxury yacht Estatement the yard has an exciting new project in development. More information will be revealed, and a press kit made available on this project, at the forthcoming MYS. Other yard events at the show will be Pride Mega Yachts sponsorship of the hugely popular Fraser Yachts Captains Party, as well as an invitation-only evening event on 24 September at the Miramar Hotel Roof Terrace. A strong yard team will attend MYS and will be able to answer any queries that clients, brokers, crew members or visitors may have about the company. Pride Mega Yachts is proud to be returning again to the Monaco Yacht Show, which is a crucial date in its calendar. Over the last year since its successful rebranding, the shipyard has forged a strong name for itself and is looking forward to continuing to fly the flag for quality Chinese superyacht construction around the world. 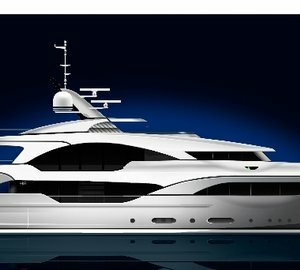 Please contact CharterWorld - the luxury yacht charter specialist - for more on superyacht news item "Pride Mega Yachts to present new 115m motor yacht ESTATEMENT concept at MYS 2014".